This is a foreign exchange guide to French Polynesia, the CFP Franc currency plus XPF transfers and travel tips. 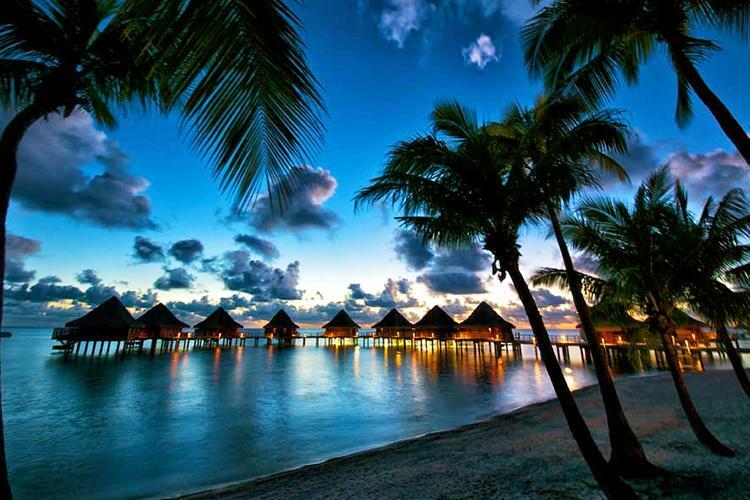 French-Polynesia is a tropical paradise, the very image of those huts on stilts by blue lagoons and palm trees. This, and the fact that its popular with movie stars and people celebrating special events, makes it a bit more on the expensive side to travel through. Over-the-top indulgence has become French Polynesia’s – or more specifically Bora Bora’s – signature, and often overshadows what the rest of the country has to offer. Resorts on the ‘Pearl of the Pacific’ are a honeymooner’s dream, with private overwater bungalows and spectacular views of the island’s iconic, square-topped peak. But if this isn’t your way to travel, or not in your budget, don’t let that dissuade you from visiting French Polynesia. Small, family-run lodgings offer a closer-to-the-culture experience for considerably less financial output. What currency should I use in French Polynesia? There is a bank and ATM at Faa'a International Airport so you can exchange or withdraw money when you arrive. Hotels also exchange currency but at a much worse rate. However, most credit cards a widely accepted across most islands so you wont have withdraw huge amounts at any one time. Although once you get to the smaller, more isolated atolls such as Manihi and Fakarava, you will most likely need to carry cash for the stores, restaurants and pensions located away from the major resorts. ATMs are easier to find in Tahiti than on the smaller surrounding islands. 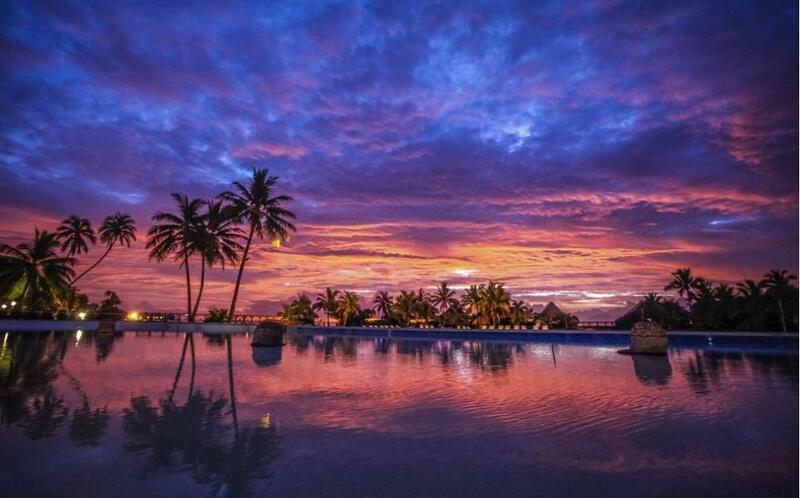 All major international credit cards are accepted in Tahiti. Some Tahitian banks are open on Saturday morning. How to travel around French Polynesia? Getting to/from the French-Polynesia isn't cheap, with flights from Chile costing almost 55,000 XPF, round trip. Once there, if you hope to see a few of the islands a good idea is to get an island hopping air pass. These vary in price according to which islands you want to visit but start at around 36,000 XPF from Air Tahiti. Air is the main way to cover long distances in French Polynesia. Domestic flights are run by the national carrier Air Tahiti, which flies to 48 islands in all five of the major island groups. Window seats on its modern fleet of high-wing turboprop aircraft offer great views, but for the nervous flyer these flights can be rather hair-raising. Because distances to the remote islands are so great, some of the full fares are quite high and the cheapest way to visit a number of islands by air is to buy one of Air Tahiti’s air passes. Travel tips for French Polynesia. Tahitian, once banned in the island’s schools, now stands alongside French as an official language. However, many shopkeepers, hotel workers, and other tourism employees also speak English. Bora Bora’s sensational lagoon — claimed to have seven shades of blue — is a playground for marine life. One way to soak it all in is with a “motu picnic.” Motus, or small islands, form a circle around the lagoon and are perfect places to view the majestic main volcanic island and its cloud-swathed peak, Otemanu. Tales of human sacrifices and jungles dotted with stone tikis and remnants of ancient temples make for a real adventure. French Polynesia has a number of sites where the islands’ earliest inhabitants worshiped their many gods. Stone temples called marae were also royal compounds and meeting places, while legend says human sacrifices were performed up until the mid-18th century. History buffs can visit multiple maraes — outdoor ancient worship temples used in old Polynesia for ceremonial purposes. Many were destroyed or abandoned with the arrival of Christianity in the 19th century, but there are still high concentrations on Huahine and Raiatea. Bora Bora’s dense jungle also hides many secrets, unveiled during a 4WD tour of its rugged interior with Tupuna Mountain Safari. Vehicles negotiate unbelievably steep and narrow tracks to visit one of the four sets of cannons installed on the island during WWII as well as old bunkers buried under twisted vines. Lava tubes, steep valleys, precipitous peaks and waterholes ideal for swimming are stops on 4WD and hiking tours on Tahiti, French Polynesia’s largest island. When searching around for information on how to get a good exchange rate when sending money to French Polynesia you need to start with finding out the latest CFP Franc foreign-transfer exchange rate. Once your funds are received by the provider the converted XPF amount will be transfered to the recipient account you specify in French Polynesia.